We want to wish all our readers a very Merry Christmas. We pray that you will find the joy in the season – knowing Christ and being known by Him. Being in the holiday spirit reminds me how important celebrations and traditions can be. Even those who adamantly declare that they avoid traditions are, in effect, implementing them – that is, their avoidance of tradition is, in fact, their tradition. I know, it sounds strange, but it’s true. Traditions ground us – they define who we are and connect us to community. The community may be present or may be miles away, and it may be large or small. Growing up, we always baked Christmas cookies the day after Thanksgiving. Now as an adult, when I bake cookies on that day – even if I am baking alone – I feel connected to those I baked with, and even the people they baked with before I was born. Traditions can be reassuring and calming. When the world changes dramatically, I can’t think of anything we’ll need more! What a better way to prepare for such a time, than to create “Holidays in a Can.” Or a six-gallon pail. 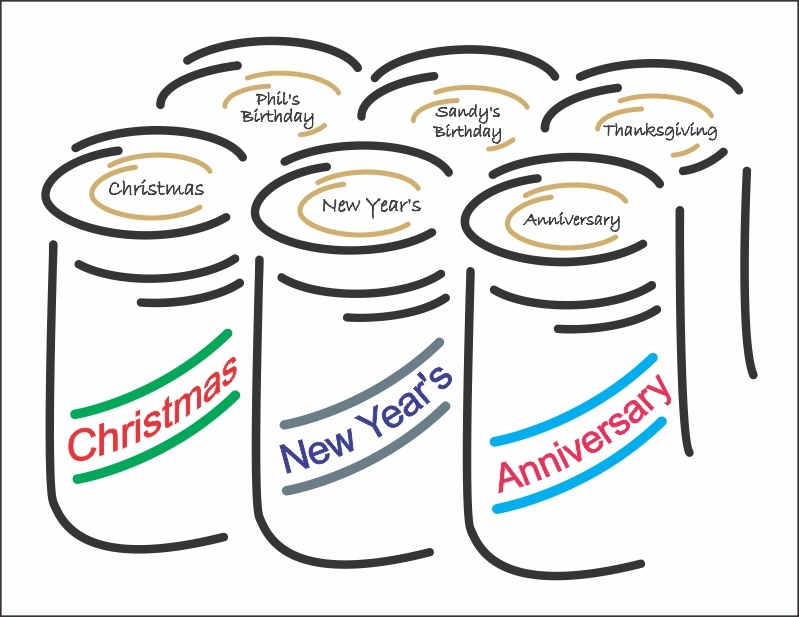 Phil describes the contents of holiday cans as “the saved of the saved.” In other words, we’re prepping for the holidays, not just for survival. We’re purposefully storing special food and other items with our preps that we won’t touch until the holiday comes around so that our holiday will be special even when times are tough. What makes the holiday special to me and my family? Is it smells or activities or sights or sounds? Your answer to that question will help you identify what should go into your can. Here are some ideas. The key is to pare the items down to just a few that will bring the essence of your holiday into a time of crisis. Having written all that I just did about the importance of traditions – and believing every word of it – I’ve also experienced times when it was important to break with tradition to make the holiday livable. For example, the year Phil’s mom died I specifically planned a non-traditional Christmas for us. I knew that the holiday memories would be too difficult the first year, so instead of focusing on the holiday, we remodeled our living room and dining room over Christmas week. Yes, we took a short break to join family for dinner, but then we returned home to finish painting. Treat food that isn’t reminiscent of your holidays. I’m loving Auguson Farms Blueberry Muffins these days. A couple batches of that in my birthday can would be a new tradition I’d enjoy! An IOU for a day of rest and pampering – in whatever form that would take in TEOTWAWKI. Massage oils would probably have a very long shelf life. One thing that reminds you of and connects you with the traditional holiday. Just a small thing. Don’t make it the centerpiece of the can. Remember, your holidays in cans are the “saved of the saved.” They’re in the secret vault not to be opened until the holiday arrives. That’s what holiday prepping is all about. What are your ideas? How are you including the holidays in your prepping? Comment below or add your comments on Facebook. And again, we wish you a very Merry Christmas and a blessed and prosperous New Year.